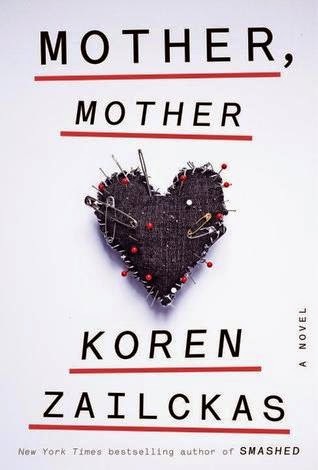 Mother, Mother is a psychological thriller that has several unexpected plot twists. It's told from two different perspectives. Young Will, who is home schooled and believed to be Autistic and teenage Violet, expressing herself with religion and drugs. Their older sister, Rose, left a few years earlier and it's between Will and Violet that what transpired to the point Rose left and what is happening in the present is revealed. The mother, Josephine, is a controlling freak and the father is seldom seen or heard - busy with business and drinking. But when Violet has a drug induced episode one evening at dinner, which she says she saw Rose in the hallway and her brother ends up hurt, is when the family starts spiraling even further out of control. Violet is put into a psych ward by her mother, and from there she starts investigating, along with Child Protection Services and the local Police, into the whereabouts of Rose. I felt sorry for the kids raised by such a narcissistic mother and a pretty much absent father. I was worried about how far Josephine had gone, or would go to keep her perfect family the way the wanted it to be. Zailckas does an impeccable job of maintaining the suspense and tying up the answers to all the raised questions. The characters are well-developed with many layers that were slowly revealed until the final conclusion. If you enjoy psychological thrillers with a family dynamic that may disturb you on many levels, you may enjoy Mother, Mother. I certainly did.